Surprise, early augmentation is yours. 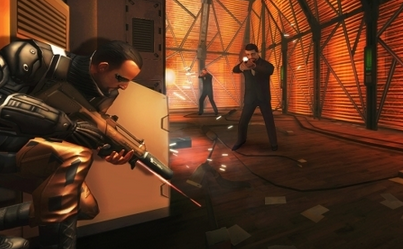 Square Enix released the mobile chapter of the sci-fi saga, Deus Ex: The Fall, a day early in the App Store. That means the game is available for download now at the low price of $6.99. In The Fall, you play as Ben Saxon, a former SAS mercenary who picks up the slack where main hero Adam Jensen left off in Deus Ex: Human Revolution. He'll battle enemies and uncover a dark conspiracy while using his own set of augmentations to help battle enemies. The game is a hefty 1.6 GB download, with most of that loaded into the beautiful visuals, so it's certainly worth it. However, you'll need a newer iOS device to run it, as the game will only work on the likes of the iPad 3, iPad Mini, iPhone 4S and iPod Touch 5. Anything lower and you'll likely run into performance issues. You've been warned. Look for our review later this week.